Regardless of which of our heating services you’re in need of in Huntersville, NC, you can rest assured that our prices will be competitive and affordable. 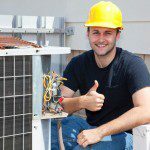 Heating Repair – If you notice that your home just doesn’t get very warm after you turn your heater on or that heat doesn’t turn on at all, it’s time to call us for help. Our technicians are highly trained and experienced and will be able to successfully take care of any issue you run into. Heater Installation – Replacing your heater with a new one is a great way to enhance your comfort level and save money on your utility bills. Not only can we install your new system, but we can also provide you with guidance during the selection process. Thermostat Installation – We can install a Honeywell WiFi thermostat in your home, which will allow you to control your furnace from anywhere. Regardless of which of our heating services you’re in need of, you can rest assured that our prices will be competitive and affordable. To schedule a time for service or to find out more about why you should choose us at Cool Comfort Heating & Air to take care of all of your heating needs, give us a call today. Financing is available! If your furnace no longer effectively heats your home, turn to us for assistance with the furnace replacement process in Huntersville, NC. furnace replacementAlthough the furnace in your Huntersville, North Carolina home has served you well for many years, it wasn’t designed to last forever. If your furnace no longer effectively heats your home, turn to us at Cool Comfort Heating & Air for assistance with the furnace replacement process. We can guide you throughout the entire heater installation process to ensure you buy the right one for your home in Huntersville, NC. Heater InstallationUnfortunately, purchasing a new heating system isn’t as easy as picking up a gallon of milk at the grocery store. When it comes to heaters, there are a variety of models and sizes that come in different price ranges. When you call us for heating repair, we’ll send one of our technicians over to your Huntersville, NC home as quickly as possible. Furnace repairWhen your heating system isn’t working, you need a company you can trust to get the heating repair done right the first time. At Cool Comfort Heating & Air, you can rest easy knowing that our affordable and dependable services are only a phone call away. Our team of experts can diagnose problems and give you options for water heater replacement or repair in Huntersville, NC. Our team of experts can diagnose problems and give you options for water heater replacement or repair. While it can seem like an expensive investment upfront, water heater replacement can actually benefit your financial situation. At Cool Comfort Heating & Air, we provide high-quality heating services in Mooresville, Huntersville, Cornelius, Lake Norman, Denver, Troutman, and Davidson, North Carolina.